The guided tours can be arranged individually regarding the number of persons, the time schedule or the interests of the participants. Even sightseeing tours beyond the borders of the old town are possible, e.g. to the Kursaal (spa house). Arrangements including a visit of the Gottlieb Daimler Memorial, a dinner in one of the lovely wine restaurants or cake and coffee in the afternoon are completing the offer. For additional on-site activities are tips or even active help available. The cavalry casern in Bad Cannstatt is a historical site by many reasons. 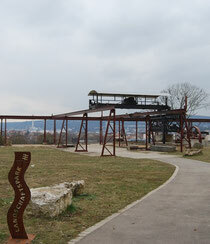 It is built on travertin rock which was mined in quarries nearby and has been shipped all over the world. Furthermore there are ruins of an old roman cavalry fort under a part of the area. Its force protected a big street crossing and a roman town in the valley. 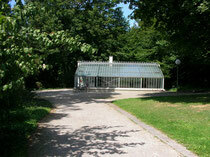 Also nearby there is the oldest cemetary of Stuttgart with many celebreties burried there. Last but not least you can enjoy a wonderful view over Bad Cannstatt and all its sights. There is a lot to tell about this area. 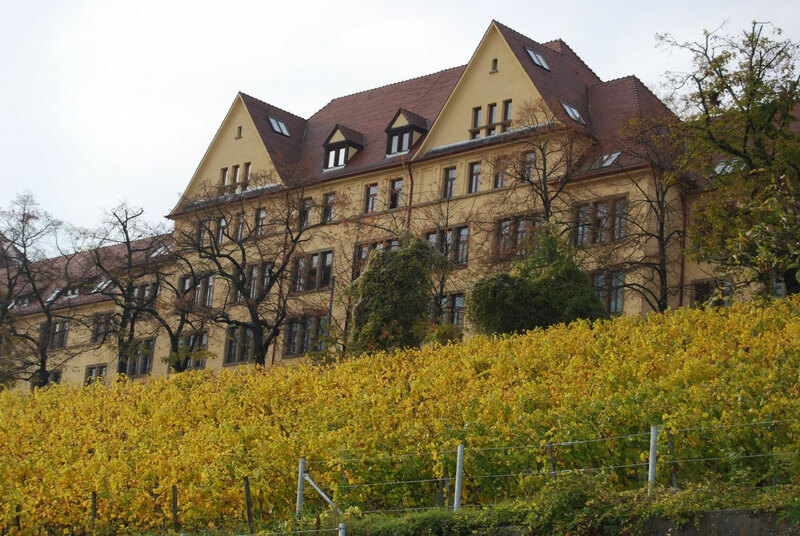 During the Tour you taste three wines of the vine dressers of Bad Cannstatt. A non-alcoholic alternative is grape juice from bad Cannstatt. The additional price per Person is 4,50 Euros incl. VAT. The oldtown of Bad Cannstatt holds a lot of secrets. They are told in legends and stories wthin this round trip through the middle age alleys. 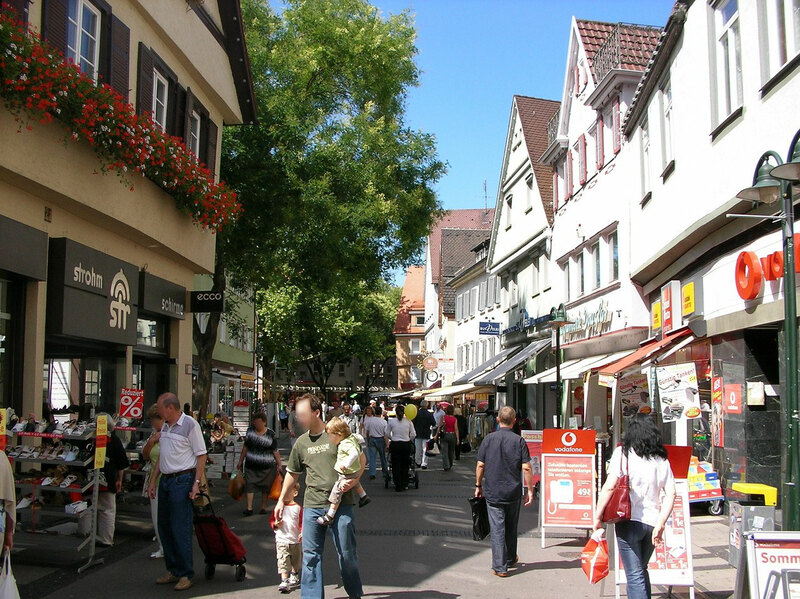 Amongst others it leads to the oldest house in the city of Stuttgart, the statue of a naked German president or the gothic town church, which the twon did not own at all. Nothing is more inconsistent to a spa town with cultural happenings than an industrial city with factories and supply traffic. Bad Cannstatt was both. 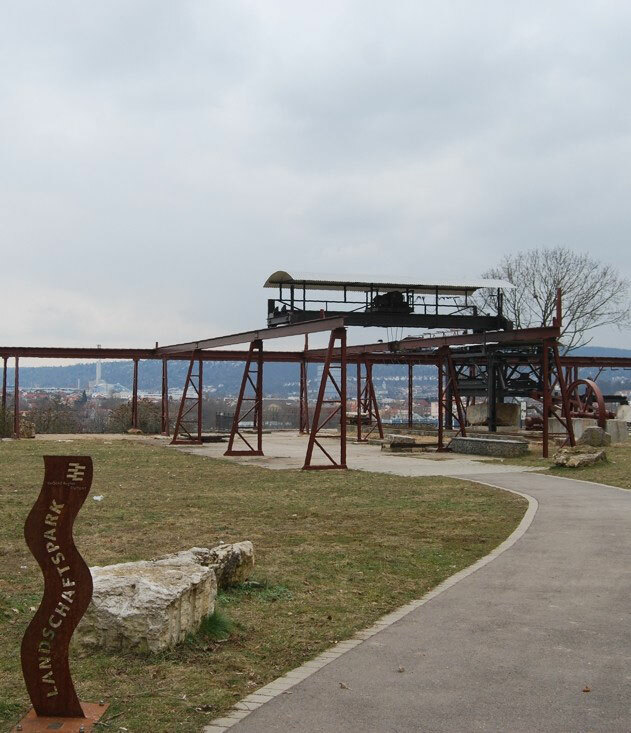 This is nowhere better to be shown than in the spa park, where the automobile was envented nearby the Kursaal (entertainment hall). From this place the tour leads to the historical oldtown with its minreal fountains and wine restaurants. A Guided tour through the Travertin Park. It includes interesting stories about archeological findings, geological specialties, mineral water and its direct impact on our environment as well as the history of the local stone drivage. A swabian Snack platter with assorted sausage and cheese specialities is available at a price of 8,– EUR per person. A festive buffet or a gourmet menu is possible on application. Das Cannstatter Volksfest bei Nacht. 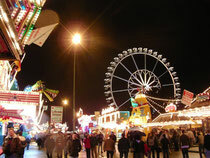 The history of the Cannstatter Volksfest in a guided tour over the fairground. The worlds biggest carney event has a unique history of origins and comes up with exciting happenings and entertaining anecdotes. Furthermore this tour is about the multifarious use of the Wasen, the area where the Voksfest takes place, amongst others as a drill ground or an airfield. Only when the Volksfest takes place at the end of September and the beginning of October.